Now that 2018 is upon us, there is a great deal to be said for making a few changes in your life. It is perfectly understandable that people see the New Year as a chance for a fresh start and for doing things a bit differently. This is definitely the case when it comes to your finances and you will find that you can be proactive at this time of year. If you are looking for ways to improve your finances, consider these options for saving money in 2018. One way that many people are picking up on with respect to saving money is having a zero spend day. As the name suggests, this is a day where you don’t spend any money at all. This means that you won’t go into stores and make purchases and you won’t make any online purchases. You’ll probably want to do a bit of advanced planning to make sure that you have everything you need in place but when you do this, you can have a day where you don’t spend any money at all. At the very least, having one seventh of your week where you don’t spend will be a good starting point. Some people will argue that you may just end up spending more on other days but the trick is to avoid this. If you are spending money on non-essential items, like a morning coffee, having a day where you don’t buy this style of product will be of great benefit and will help you to reduce your expenditure. Many people like this way of saving money because it provides a challenge. If you can create a gaming element to your finances, you will find that you have a stronger level of motivation to achieve your goals. 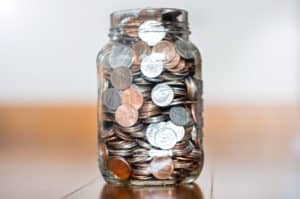 Saving money can be difficult so anything which helps you to spend loss money has to be encouraged and “zero spend” days are definitely an option you should consider. If you find that a zero spend day is too challenging, you may want to look at how much you spend on convenience items. That morning coffee or doughnut may help you to get started in the morning but could you have a drink or a snack in the house? You may save time by jumping in a taxi as you head to work but could you set off a bit earlier and use public transport, a bike or even walk to work? There will be ways that you can save money without inconveniencing yourself too much. You will also find that travelling in this manner will help improve your health. This is a benefit that most people will be happy to receive. One of the biggest factors that impacts on people’s spending and how it quickly add up is impulse buying. When you are in a store, there will definitely be some items that you didn’t plan on buying but which will catch your eye. There is a science to store’s layouts and certain products are known to grab attention in certain places. If you don’t need these items, don’t buy them. In fact, you should be actively aware of these items that can spring up out of nowhere and make sure that you don’t spend your money on them. If you are not sure of the items that you habitually pick up on impulse, you’ll find that tracking your spending is a smart idea. There is an increasing array of apps that help people keep tabs on what they are spending and you may be in for a shock when you see how you actually spend your money. Being aware of your spending habits is the first step in making positive changes that will help you to be in control of your finances in the year head. Most of us are keen to take better control of our finances and the start of 2018 is as good a time as any to do so. This is why you should be looking to make changes that will make a difference. Being aware of what you spend and giving yourself challenges that help you to avoid spending will ensure that 2018 is a much more positive year when it comes to your financial status.